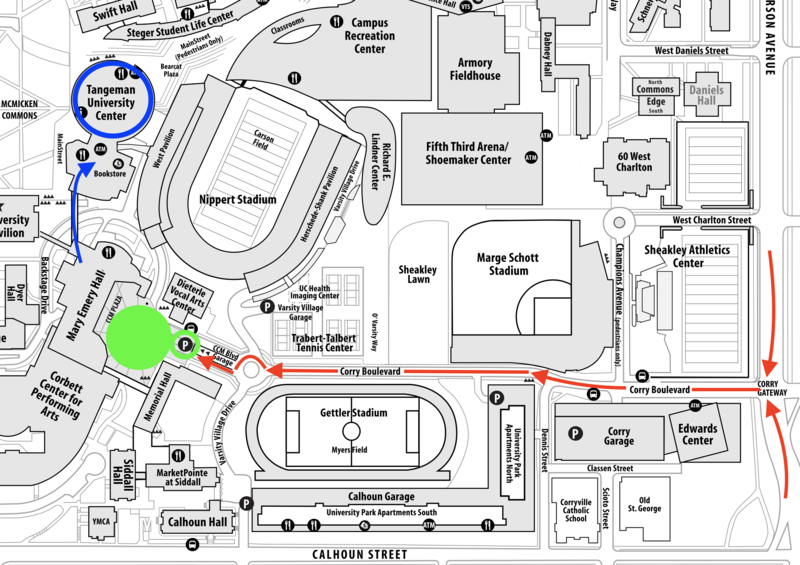 To get to the UC Campus & CCM Circle, please get to the Corry Gateway, off the Jefferson Avenue. Enter Corry Boulevard and go straight all the way to the end, pass the roundabout and enter the CCM Garage going down/underneath the plaza level. You will be entering the TUC at the 3rd Level. Take the stairs or the elevator to the 4th Level – Great Hall level. Our volunteers will be in the hallway, waiting for you to guide you to the registration tables. NOTE: Click here or the image map to the right to magnify/download map and directions.